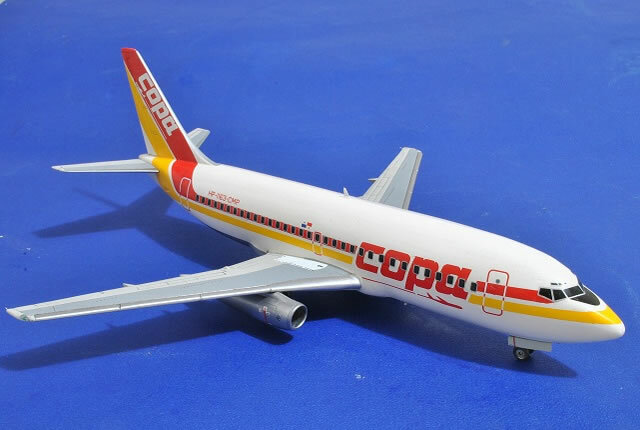 I built this model using as a basis the old Airfix kit. 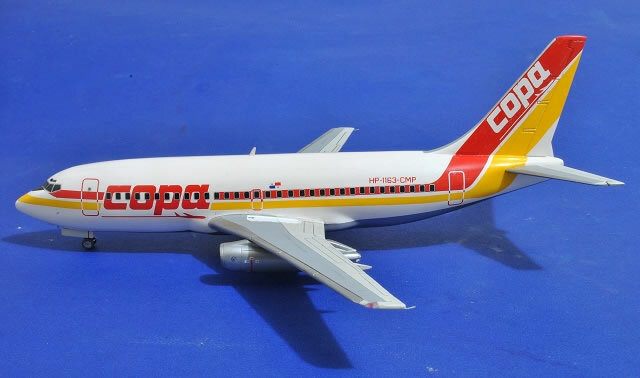 This one is the second in my collection of central American airliners and it took me about 6 months to complete working on and off and alternating it with some other projects in my workbench, and it depicts the 737-200 HP-1163-CMP circa the early 90´s. 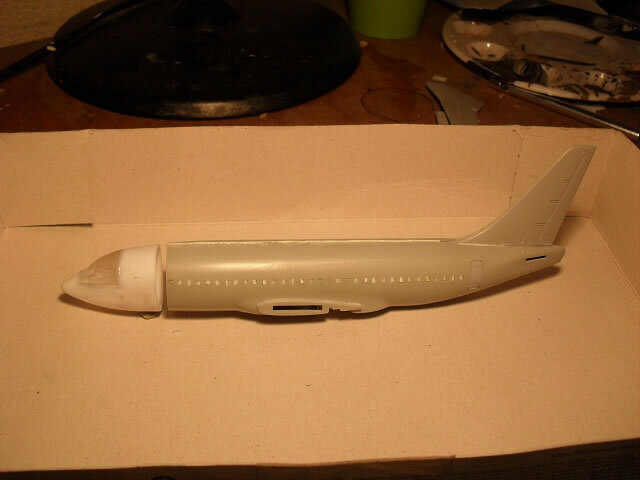 As I mentioned above the basis for this project is the old Airfix 737-200 kit but I´ve made some kind of Frankenstein by adding some parts of scratch and some others from the Minicraft 737 kit. 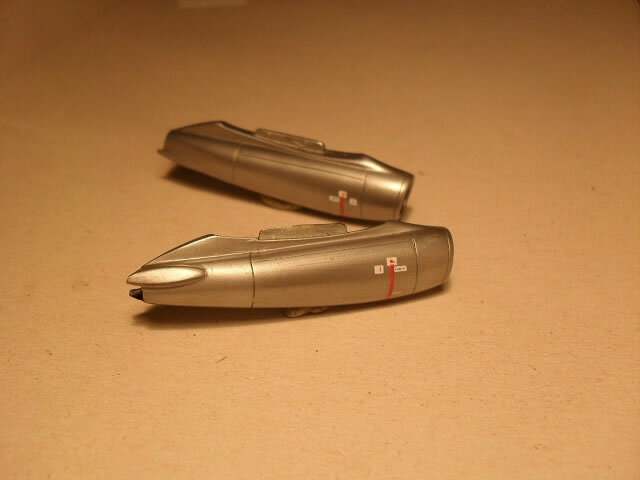 These modifications include cutting off the Airfix kit nose which is incorrect in shape and size and replacing it with the Minicraft´s nose which is not perfect ,but somehow far better than the Airfix original part, since the Airfix kit is too narrow. 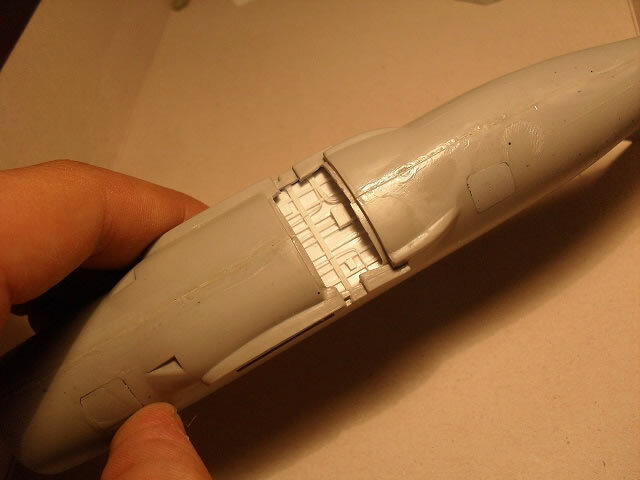 I had to insert a 1mm spacer between the two halves of the fuselage in order to the Minicraft´s nose to fit properly in the Airfix fuselage. The landing gear and wheels were also replaced by the Minicraft parts. The detail in the wheel well in the Airfix kit is non-existent so I entirely scratch built a new one using Evergreen plastic sheet and strip. The details in the corongard and tail planes were rescribed, the engines where re-shaped and rescribed in order to achive a more realistic shape. Finally the antennae were made using soda can aluminum. The kit is painted with a mixture of different paints. 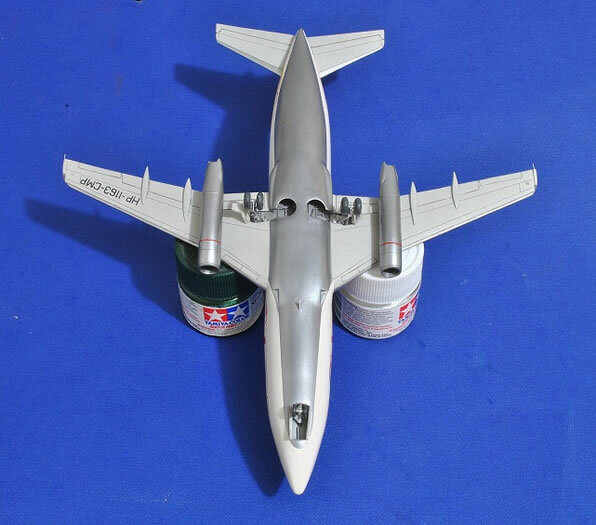 For the fuselage I used a Klylon spray can gloss white special for plastic applied directly from the can and after allowing to dry for about 2 hours. I polished it with 1200 and 1500 grit wet sandpaper and novus plastic polishing compound, after a glass like surface was achieved some coats of future where applied with a soft plain brush and polished with novus once again. The belly was painted with model master magnesium buffing metalizer as well as the engines, the wings where painted with Testor's Model Master Canada Voodoo Gray and a mixture of MM Light Ghost Gray and MM Gunship Gray, sealed with future wheathered with a wash of acrylics sealed once again with future, and finally a flat coat was applied using a mixture of future, MM flat acrylic and alcohol. 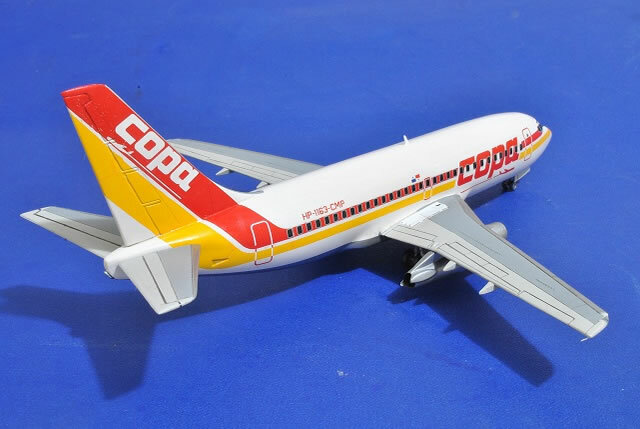 The decals came from a Flightpath decal sheet which was in perfect register and color but it had a contiguous carrier film so each design had to be cut the closest to the edge possible. Another weak point of the decal sheet is that they are EXTREMELY thin and fragile so you must be super careful when applying them, the emergency exit walk ways are the ones provided in the Minicraft kit and the doors and windows are from AHS, all the decals where applied using microset and solvaset ( probably best decal setting solution ever invented by human being ). 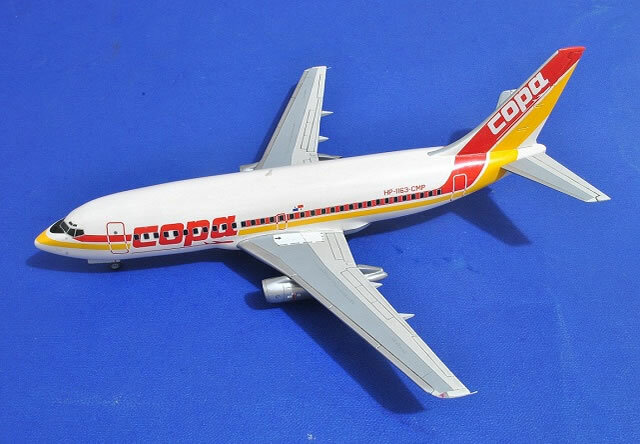 Definitely an enjoyable built for the airliner modelers who want some different but at the same time classic bird at their showcases, and despite the great effort needed to get a decent model from the Airfix kit the result is certainly a nice looking model that represents a part of the golden age of commercial aviation in central America. 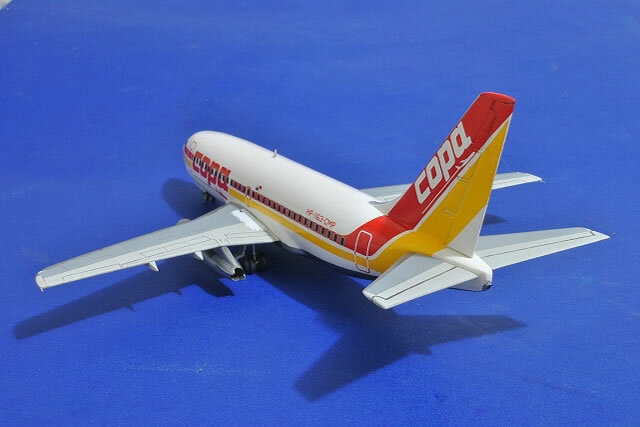 This will look really nice alongside with my Minicraft 737-300 from Aviateca already on the showcase, and this year I am planning to make a TACA´s 737-300.